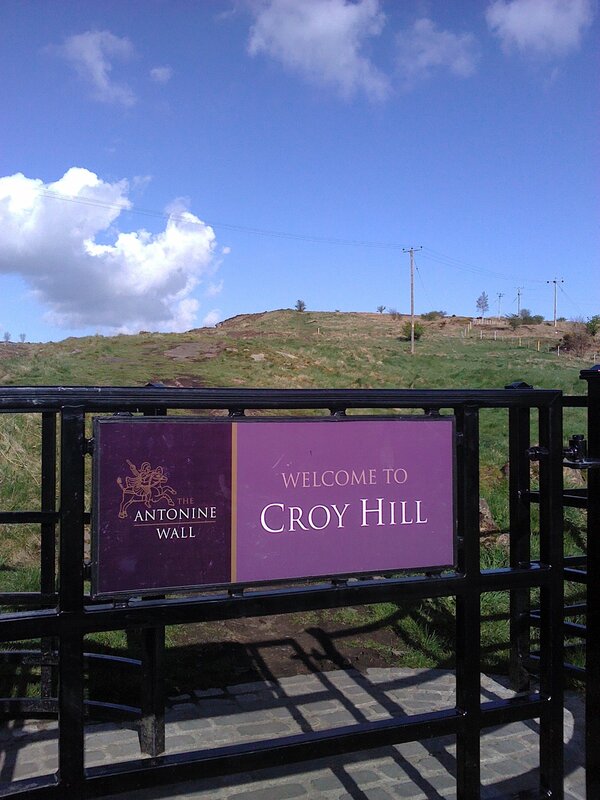 The project culminated with an event at Fingerpost (formerly Croy Miners’ Welfare) last Wednesday (18 April), which is World Heritage Day – an exhibition / installation space animated by film, theatre, choral singing, my reading of ‘Seven Questions’. 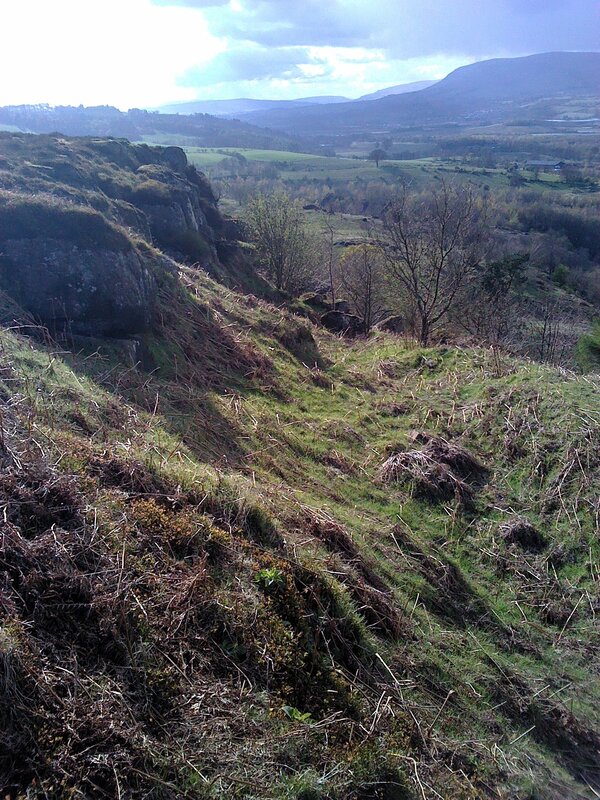 I managed a walk on Croy Hill, where the Antonine Wall ran – the ditch (right) is the most obvious extant feature. 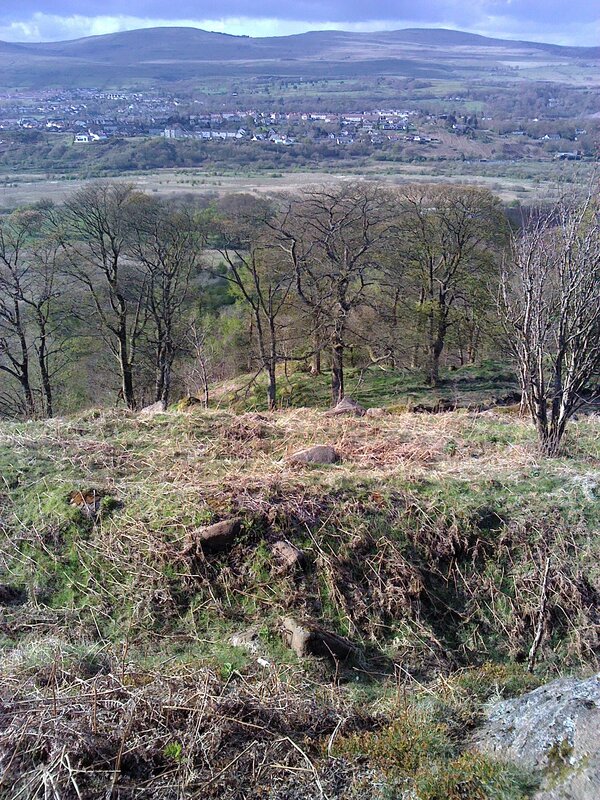 The view above (centre) is looking north, barbarianwards.